Students learn time management skills, self-advocacy, and note-taking skills, develop a grow mindset and sense of resilience, and gain self-confidence. Ultimately, students at the School of the Cathedral are prepared in every way for quality high schools. In middle school, students move to separate classes for instruction by subject specialists. Our modern language program enriches our curriculum while challenging our students to develop strong cognitive skills and cultural knowledge. Our exploratory program runs from grade one through grade three, as students learn basic principles of both the French and Spanish languages. The language program continues and once students reach the intermediate grades, they will choose to focus on either French or Spanish. At this time, they begin to learn more advanced grammar and practical communication skills, while they also gain an understanding of the country’s culture. All students will continue to study the language of their choice, through the end of eighth grade. We invite you to learn more about our Lower School! 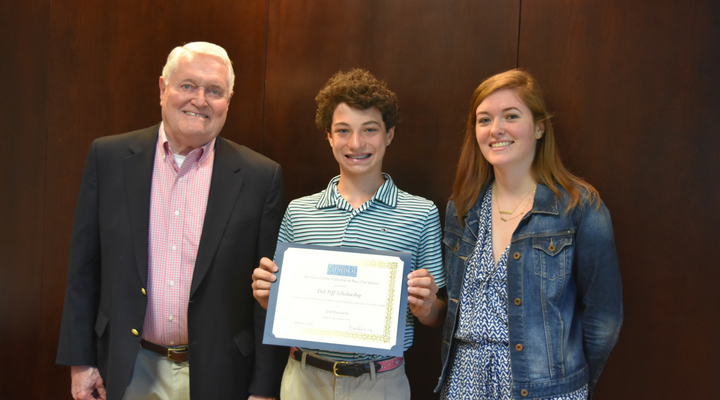 This year, the School of the Cathedral of Mary Our Queen presents the Deb Piff Scholarship to Jack Rapisarda, in recognition of his commitment to the sciences and personification of the values of the School of the Cathedral.